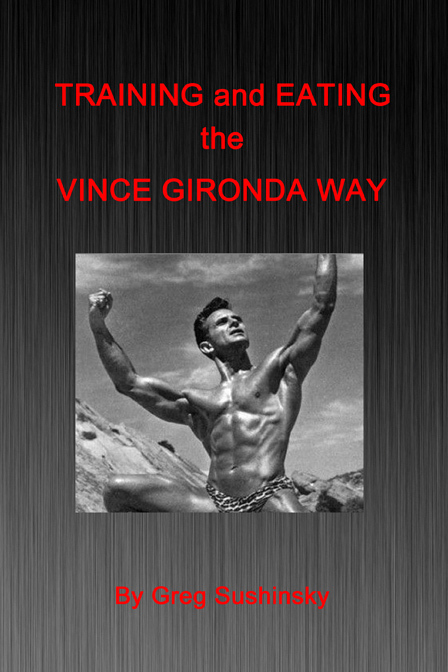 There’s great interest in the methods of legendary bodybuilding trainer Vince Gironda. And why not? Although his teaching was complicated at times, Vince was a practical man. What interested him most was building muscle and sculpting fabulous physiques. So, with that in mind we’ve constructed a practical course very much along those lines. This shoulder-building course features many of the ideas and principles of Vince Gironda put into action. The workouts, though, are mostly new. 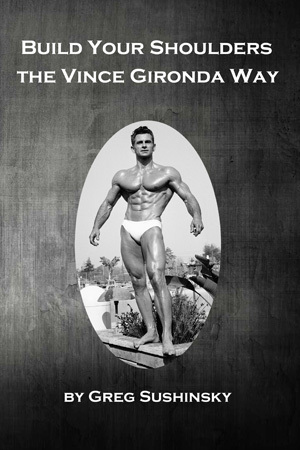 Vince Gironda—the name resounds throughout bodybuilding, still. This accomplished bodybuilder and master trainer left a wealth of ideas and methods on training and nutrition that still has relevance today. Though many of Vince’s concepts are known, they’re often not well understood. That’s where this little book comes in. Originally written as two separate articles on Gironda’s training and nutrition, they’ve been combined due to readers’ requests. 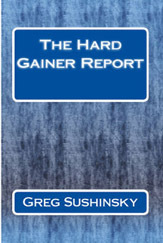 This modest volume of concentrated material gives a condensed introduction of Vince’s principles on training and nutrition for beginning bodybuilders, yet there are also surprising insights on Vince’s methods and ways to apply them even for advanced bodybuilders. We’re very proud and excited to present a terrific book by one of the greatest classical bodybuilders of all time, Steve Davis. Achieving Total Muscularity is a complete volume that tells you in detail how to train for the unique brand of symmetry, proportion, aesthetics and definition that made Steve’s physique one of the sensations of the 1970s and after. The book contains a wealth of Steve’s hard earned knowledge, and while it was written with the information he gained from the 70s and the 80s, the book, just as Steve’s physique, was and is still ahead of its time. 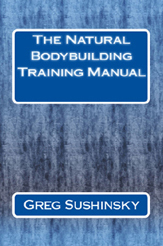 This practical, concentrated manual written by a natural bodybuilder for natural bodybuilders, shows you why natural bodybuilders need to–even must–train with methods and techniques specifically tailored to drug-free trainers, in order to reach their bodybuilding goals. The manual features both an introduction for beginners as well as information and an overview for intermediate and advanced trainers.